The second quarter of 2017 demonstrated some interesting growth vectors for WarmlyYours Radiant Heating, which were largely spurred by developing trends in a dynamic marketplace. In Q2 2017, we saw sizable growth in several product categories, including radiant panels, towel warmers, and snow melting systems. Additionally, our signature product category, electric floor heating, showed growth in several specific product lines, which seems to be in line with current building and design trends. - The initial launch of our first non-heating product line: The Marquee Series of LED Mirrors. - Significant improvements to the WarmlyYours website, including the implementation of a “Mega Menu” for ease of navigation. - Sizable growth in several major metro markets, which indicate continued growth. - Strong uptick in etailer activity, specifically in towel warmer sales. - Year-to-date growth of 1.5% in WarmlyYours consolidated sales. In this report, we’ll explore the causes and implications of these points, along with analyzing national remodeling activity, the housing market, and how these factors are expected to impact the radiant heating industry as a whole. Sales of electric radiant heating products, like floor heating or snow melting systems, are tied intrinsically to remodeling activity, which is, in turn, tied to the housing market. According to the most recent Leading Indicator of Remodeling Activity (LIRA) from the Joint Center for Housing Studies of Harvard University, the rate of change for annual expenditures on remodeling projects remained high at 6.9% for both Q1 and Q2 of 2017. The LIRA projects that remodeling activity will remain positive well into 2018, but the rate of change is expected to dip slightly to 6.7% in Q3 of this year. This slight deceleration of activity is expected to continue until Q2 2018. According to the Joint Center, the housing market is experiencing a pronounced shortage of available inventory, which is driving home prices up. This is a double-edged sword, as the increased home values are motivating homeowners to make larger investments in their properties, while at the same time, increased prices could lead to fewer total home sales which could result in less projects being undertaken. This tightening of supply is due in large part to increasing national wages, along with other vectors of economic growth. However, the tight supply is forcing home prices up at a rate that outpaces wage growth. For this reason, Q2 2017 sales of existing homes continued a pattern of month-to-month decline. According to the National Association of Realtors (NAR), existing home sales (completed transactions) dipped 1.8% to a seasonally adjusted annual rate of 5.52 million (vs. 5.62 million in May 2017). However, even with that decline, June 2017 sales were still 0.7% higher than prior year period. In a press release, Lawrence Yun, chief economist for NAR, said that the lull in sales of existing properties can be attributed to not only high market prices, but also a lack of available options for potential buyers. "The demand for buying a home is as strong as it has been since before the Great Recession. Listings in the affordable price range continue to be scooped up rapidly, but the severe housing shortages inflicting many markets are keeping a large segment of would-be buyers on the sidelines. The good news is that sales are still running slightly above last year's pace despite these persistent market challenges,” said Yun. In June, according to NAR, the total housing inventory declined 0.5% to 1.96 million. This is 7.1% lower than June 2016 and only represents a 4.3-month supply at current sales rate. However, June also brought a small, but important, increase in pending home sales (initiated but not completed), which were up 1.5%. Yun attributes this growth to high home prices actively discouraging market speculators, which provides a little more breathing room for residential purchasers. Another potential source of alleviation for this supply shortage is in new construction. According to a joint press release issued by the U.S. Census Bureau and the U.S. Dept. of Housing and Urban Development, in June 2017, authorized building permits for privately owned housing units grew 7.4% from May 2017 and 5.1% from June 2016. Private housing starts were up 2.1% from June 2016 and private housing completions were up 8.1% from June 2016. With high national home prices showing no signs of lowering, it is safe to assume that a strong incentive will remain for homebuilders across the country. As long as these high prices remain a detriment for investors, we can expect to see a relative plateau in pricing. However, it should be noted that this applies to national prices as an average; some individual markets will see steep increases due to extenuating factors like regional economic development and infrastructure limitations. Of note in the second quarter of 2017, WarmlyYours saw particular growth in the following product lines: radiant panels, towel warmers, and snow melting. These increases helped push year-to-date growth for WarmlyYours consolidated sales to 1.5%. A large portion of the growth in towel warmers was due to increases in etailer sales, which grew 67.2% from prior year period. Leading the charge for these towel warmers were the Sierra and Metropolitan models with 85.4% and 72.3% growth respectively. These models, with their square bars, are great additions to the linear design aesthetic that is taking root in bathroom design. 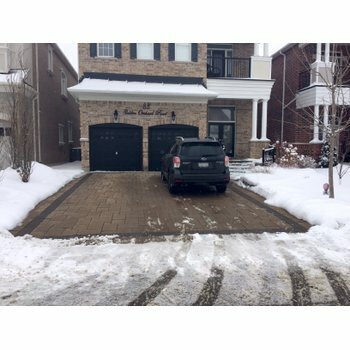 Q2 2017 snow melting sales may have been boosted by increased traffic for a WarmlyYours snow melting installation video on YouTube, which began to receive large amounts of traffic in Q2 2017 before going viral in early Q3 (reaching over half a million views). The large influx of traffic brought with it a significant portion of viewer questions, which illustrated the need for quality content about snow melting to be provided to the general public. - Growing because of greater consumer interest in laminate flooring. - As a point of reference, a WarmlyYours YouTube video about installing Environ under laminate flooring (which was originally released in late 2015) saw a 148.8% increase in views and a 75.4% increase in traffic from direct searches when comparing Q2 2017 to prior year period. - Both of these products are often tied with new construction projects, as custom mats are made to order and slab heating is embedded in new concrete pours. - The growth in these products may also be tied to increased purchases of “luxury homes.” According to Redfin, Q2 2017 saw a 9.4% drop in available luxury homes and a 7.5% price increase for available units from prior year period, implying an increase in consumption for these properties due to increasing home prices overall. - This combo continues to grow as more and more installers become familiar with the speedy benefits of its installation. - This combo has shown a minimum of double digit growth, quarter-to-quarter, since it was introduced in late 2015. 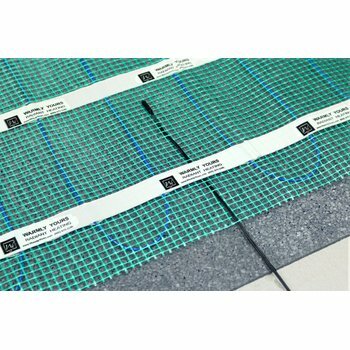 There are no indications that this will slow, as the future of floor heating growth is driven by this combination of uncoupling membranes and electric floor heating cables. This quarter saw WarmlyYours consolidated sales distribute themselves more equitably in the various regions of the U.S., as we saw more growth in the Great Lakes, the Plains, and New England. What was particularly interesting was the growth we saw in several metro areas, all of which have red hot housing markets: Los Angeles, Minneapolis, Chicago, and Seattle. We took a look at our historical performance in these markets and compared that data with external real estate sources like Zillow, Trulia, and Redfin. We were able to identify that all of these markets showed median home value increase of nearly 10% between June 2016 and June 2017, with each projecting varying degrees of growth in Q3 of this year. This tells us that these markets have not yet reached a point of price saturation (which could stall sales of existing homes). Because of this, we expect to see these markets continue to provide growth, particularly in floor heating sales. - WarmlyYours saw a 66.8% increase in Q2 sales. - This is a market with a relatively lenient permitting process and a strong record of high-value job growth. - This market shows the steepest projections for increased median home values. - We’ve seen double digit growth in this market for the last two years. - Many construction projects are underway for the next Super Bowl. - WarmlyYours, headquartered in Illinois, has seen year over year growth in this market. 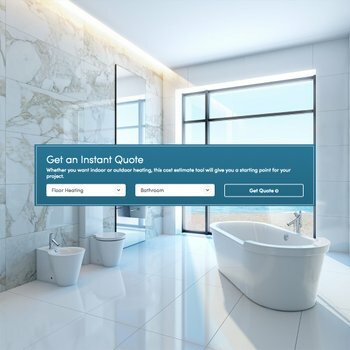 - In this market, electric floor heating sales are interwoven with luxury home sales, which are beginning to outpace median home sales nationally. In addition to growth in these major metro markets, WarmlyYours expects to see overall growth in floor heating sales (in both the U.S. and Canada), increased online conversions (due to improvements to the website’s chat function for answering customer questions live and checkout process), and growth in our newest product line: The Marquee Series of LED Mirrors. Julia Billen, president and owner of WarmlyYours, said that the growth projected in Q3 2017 is the result of multiple efforts by every department at the company. *Projections based on both WarmlyYours internal data and third-party data. These projections are by nature speculative and WarmlyYours expressly disclaims any and all liability for any representations, expressed or implied, contained in, or omissions from, this material.